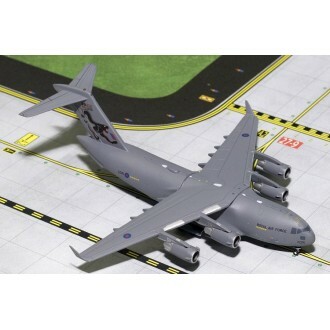 The original lineage of the C-17 dates back to the early 1970’s when the United States Air Force needed a single aircraft that would combine the load capability of the C-141 Starlifter & C-5 Galaxy transport aircraft, yet have the versatility of the turboprop C-130 Hercules. 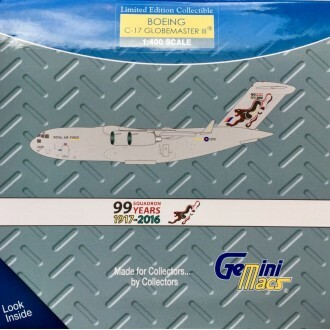 First flown in September 1991 the C-17 is now the USAF’s most important aircraft. 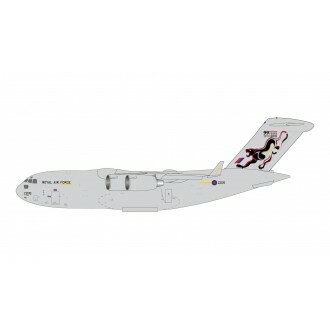 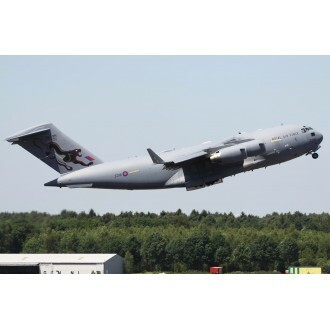 The Royal Air Force has been operating the C-17 since 1991 and it is now the backbone of the tactical transport fleet. This model is in 1/400 sale approx 14cm long.